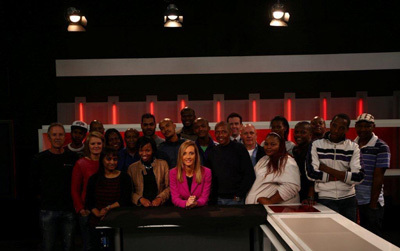 Award-winning journalist Debora Patta has left etv. The feisty presenter and producer of the investigative news and current affairs show 3rd Degree final episode was broadcast on Tuesday night. She is said to be venturing into freelance work for international news companies. “We’d like to thank Debora for her 15 years of service and wish her well with her new business venture,” says Monde Twala, Head of e.tv Channels. The rest of the 3rd Degree team will be re-assigned to current shows, while some will work on a revamped current affairs offering. It has been confirmed that Justice Malala’s show The Justice Factor is scheduled to air on both eNCA and e.tv in coming months. I'm a 48 year old woman looking to meet men between the ages of 40 and 63.